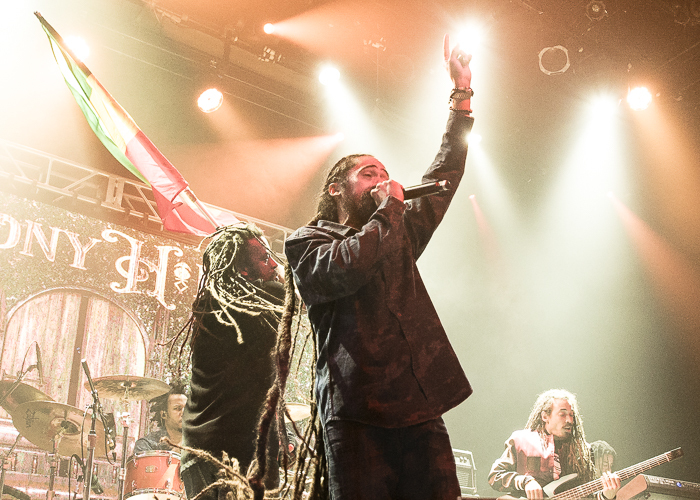 Damian Marley, youngest son of Jamaican icon Bob Marley, lit up The Fillmore this October during his Stony Hill international tour. Damian Marley is most famous for his legendary album, Welcome to Jamrock, which was inescapable during the summer of 2005. 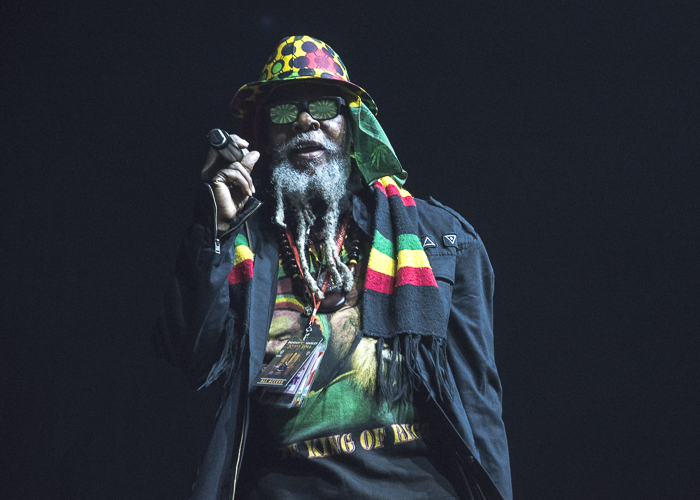 In the decade that followed, Marley did a couple of collaborations, most notably with rapper Nas, but Stony Hill is his first studio album since the meteoric success of Welcome to Jamrock. The album was released in July with “Nail Pon Cross” released as a single in August. 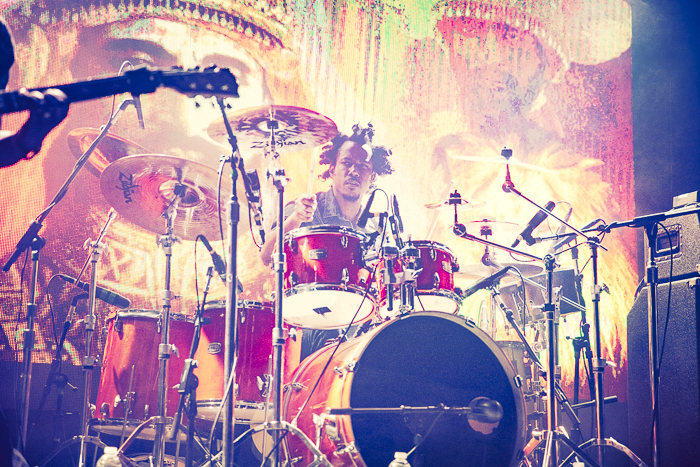 Marley’s live show provides a little snapshot of Jamaican culture. He brings along an older Jamaican dude whose only job is to announce him at the start of the show and again at the start of the encore. In between tasks, he keeps the joints lit on the side of the stage. Marley also has with him the Jamaican version of a hype man, who gets the crowd pumped up by waving the Rastafarian flag around the stage. It works – he seems genuinely excited to be there and it rubs off on the audience. When his talents are not needed on stage, he joins the small joint smoking party off to the side. Like many of his siblings, Marley is carrying on the legacy of his father not only in music making, but also in delivering a message of spiritual consciousness while simultaneously calling attention to society’s ills. He spoke at length about the advantages and dangers of rapidly advancing technology by way of introducing a song from his new album called “Time Travel.” The lyrics address the misuse of technology to advance the police state and war machine. “Call of Duty, drone bombin’ / Stealth bomber, more famine / Biometrics, eye scannin’ / Airport body search and swabbing / More police harassment and naggin’ / Equal one big conflict were having.” He delivered a few extended talks in between songs that were each well received by the crowd. He is as eloquent as he is talented in music. The night’s opener, Kabaka Pyramid, is another rising Jamaican artist who is elevating traditional reggae music by combining it with dancehall and hip hop beats. He shared with the audience his competing desires to be a reggae singer or a rapper, which led into a delightful rap battle between the MC and his guitarist. After the battle was over, Kabaka let his other side out with a cover of dancehall classic “Ring the Alarm,” made famous by Tenor Saw in the 1980s. 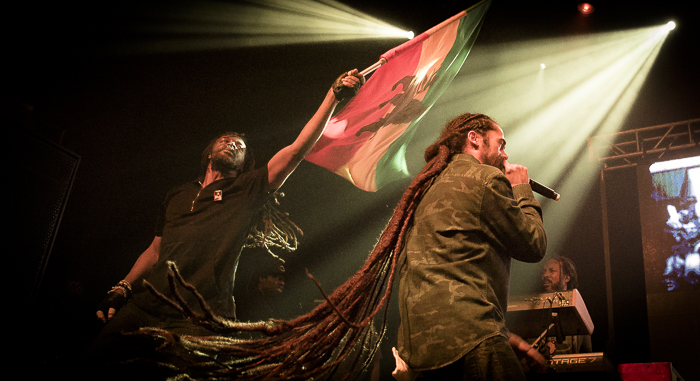 Like Damian Marley, Kabaka Pyramid’s lyrics also focus on spiritual consciousness and social and political commentary. The name “Kabaka” is Ugandan for “King” and Pyramids are thought by the artist to house the mathematical proportions of Universal Laws that are eminent in the creation of this universe. He seeks to embody these laws in his music, spreading truth and higher knowledge to the people who are prepared to listen. 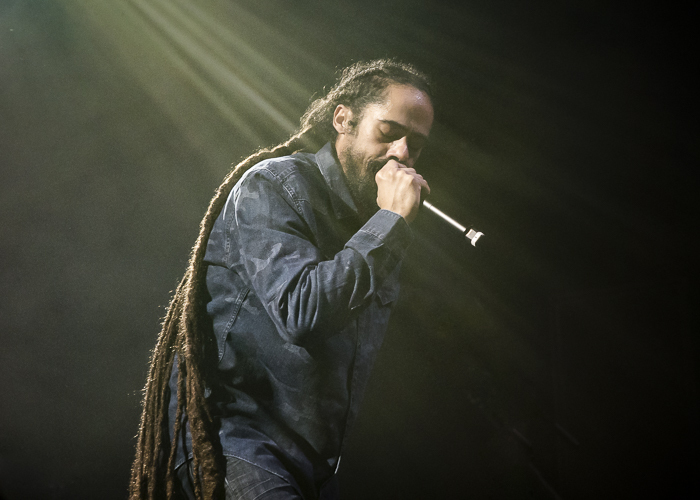 Find out more about Damian Marley on his website. Check out Kabaka Pyramid here.